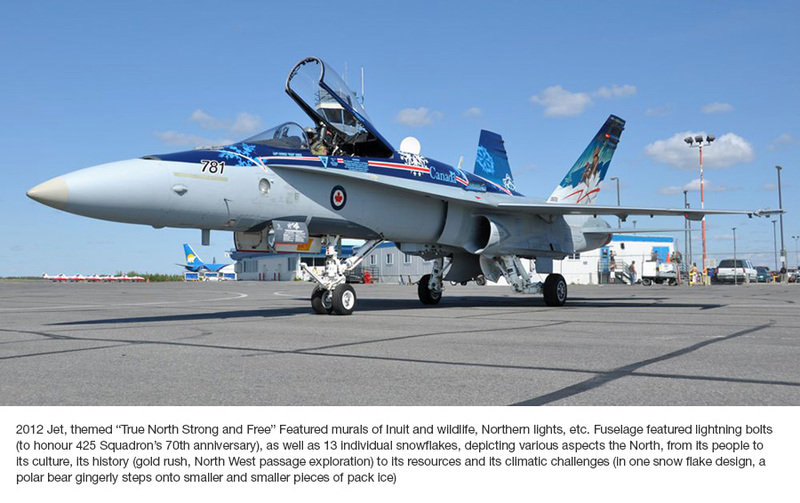 Despite its ignoble title Another Federal Design Disaster, I decided I should respond to this article, as I am the aforementioned designer of the recently unveiled Government of Canada Airbus, an RCAF CC-150 Polaris. My name is Jim Belliveau, and I’m a civil servant who works for the RCAF as a Graphic Designer. 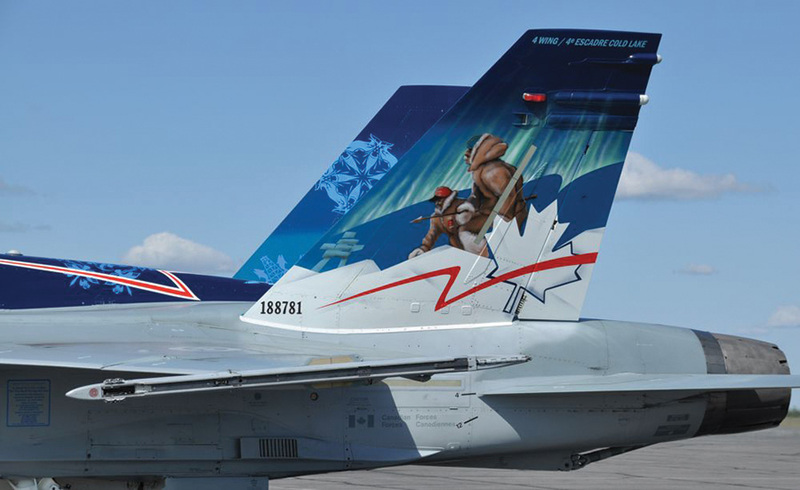 Even though I do a lot of things in this role, it is through my taskings as an aircraft paint scheme designer where most would know my work. I have been in the trade for 30 plus years, but I found my niche and passion in aircraft paint schemes. I couldn’t tell you the exact number I have done, but it’s about 40 projects on ten different aircraft types both civilian and military. Above all, I am especially proud of the fact that I have worked hands-on of about 30 of them, from concept, to stencil, to final painting. No matter the ‘canvas’, the design is just the start. 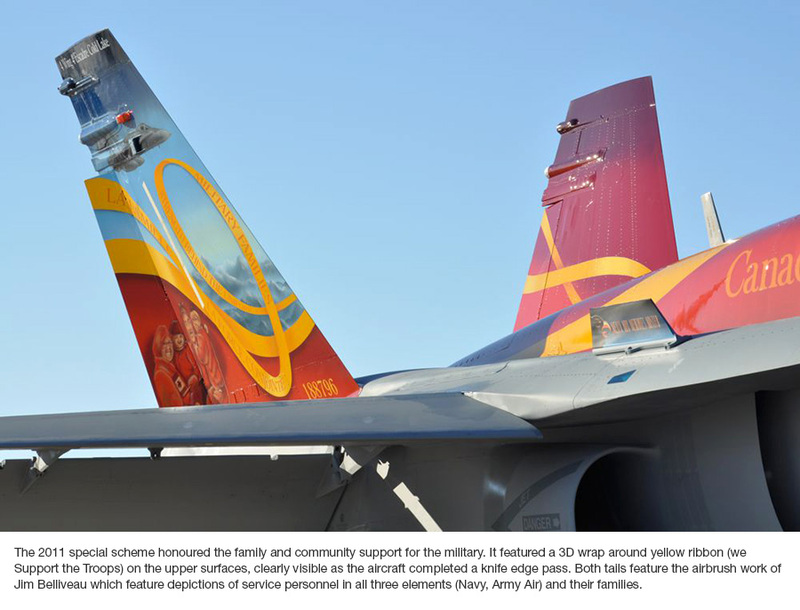 There are a myriad of checks to do, precise aircraft marking criteria from both civilian and military agencies, and several layers of authority and approval. Despite what the vitriolic naysayers and discontented suggest, the process was a lot more involved, the criteria more exhaustive, and the rationale for colour, style, and design application much more professionally driven than might be believed. I was tasked to the CC-150 project after having done an internal audition of sorts. As an insider I could bring both economy and a corporate knowledge and experience level few, if any, possess in the ‘commercial’ world. During the 2 1/2 year design process which I found to be productive and downright enjoyable I was granted considerable influence and because of the scope of the project I was allowed to function and deal directly with the project team at all levels, more or less as an art director would do. My ‘client’ was most forthright in their direction, but my input and insight was always taken seriously. There is not a line or marking on this aircraft I regret developing and applying to the final product. It was one of the best projects I have ever worked on. I am damn proud of it. The exact machinations of the project are as they are in the corporate world: between myself and my ‘client’. 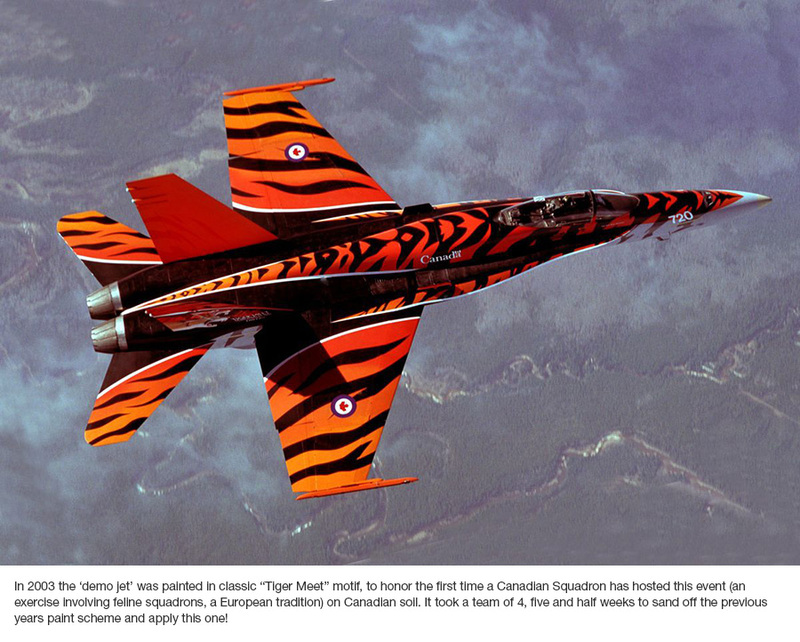 I can tell you that the mission was and has always been to design a specific paint scheme livery for the needs of the RCAF and the Government of Canada in a cost effective way – and we succeeded. 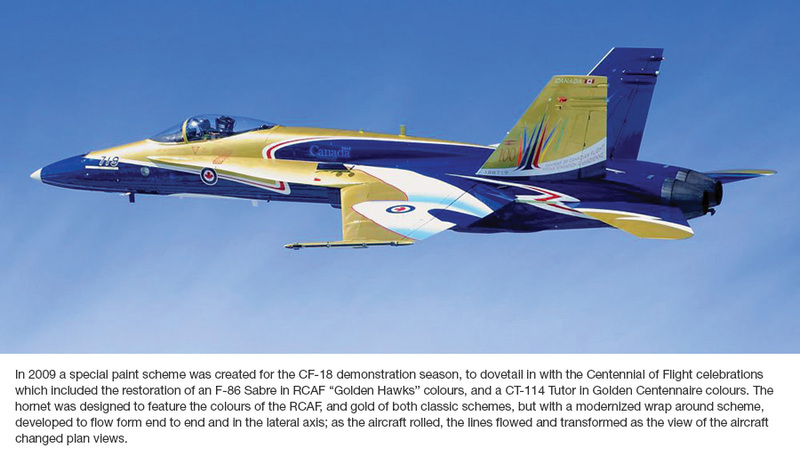 The accent colours are indeed of the RCAF and planned as such. Period. Although more difficult to see the aircraft is not overall white, the fuselage base is actually a light pearl grey, referred to as ‘arctic white’. White was found to be too harsh, and this colour conveyed an understated elegance. 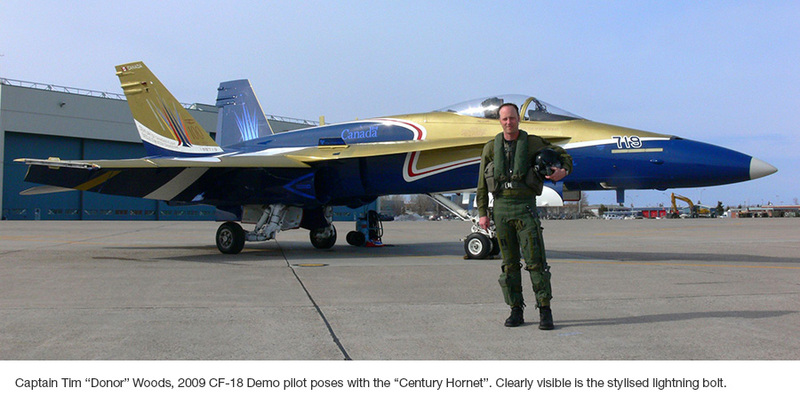 All colours on the jet are ‘off-the-shelf’ Federal Standard (FS), for ease of touch-ups. Designing long term liveries for aircraft is a different world. The rhetoric flying about regarding this project suggested many just don’t understand the scope, the restrictions nor the criteria involved. And there is a lot less intrigue and more professionalism that most would imagine. The more I talked to Jim (through email) the more I lamented the coverage of the original news story. Perhaps if it weren’t for the comments by present NDP Leader Tom Muclair “The colours of the plane, the whole detailing is clearly patterned on the Conservative Party… I can tell you this, that when we form government in 2015 we will not be painting that plane orange.”, the Canadian public could have enjoyed Jim Belliveau’s work properly or at the very least, more honestly. I wanted to sincerely thank Jim again for deciding to write 418QE. He took time out from his hectic schedule to send this obviously genuine response. If Jim hasn’t changed your opinion about this particular project, I know he has at least intrigued and educated us all. Have questions or comments about this project, let us know. As I side note, my father was a pilot but this is the first time I have ever met an “aircraft paint scheme” designer. This entry was posted on 2013.06.18 at 3.21 pm and is filed under Design Thinking, Strategy. You can follow any responses to this entry through the RSS 2.0 feed. You can leave a response, or trackback from your own site. So it wasn’t blue because of the PC party’s political agenda after all… ha ha ha. So much for the NDP conspiracy theory. Interesting, never knew there was such a thing as an “airplane scheme designer”. But I have to say the letter spacing on the “Government of Canada” needs help. Human Verification: Sum of 1 + 4 ?